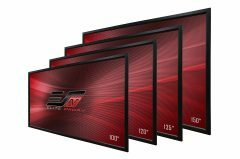 Saker Tab-Tension "Roll-Up" Ceiling & Ambient Light Rejecting (ALR/CLR®) Screen Wins 2018 Twice VIP Award - EliteProAV - Providing an array of dedicated commercial grade projector screens to professional integrators. 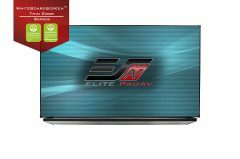 Elite Screens is pleased to announce that its Saker Tab-Tension CineGrey 5D® has won TWICE Magazine’s 2018 VIP Award. 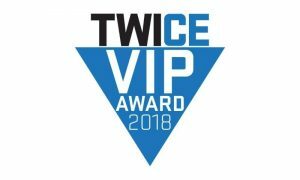 The TWICE VIP Awards give retailers and distributors the chance to honor the products that have made the biggest difference in their business. Voted on only by retailers and distributors, the TWICE VIPs are based on product features, product design, and value to consumers. 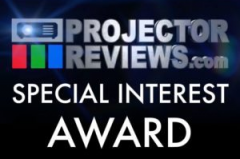 Ambient and ceiling light rejecting (ALR/CLR®) screens have been the hot ticket for a while now. Most homes and work spaces don’t have dedicated dark rooms. 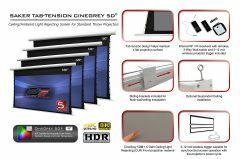 After careful evaluation the Saker Tab-Tension CineGrey 5D® was selected as this year’s winner because it’s a combination of superb picture performance in light or dark rooms that is durable enough to be made in a motorized format. 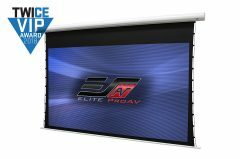 Innovative products like this are part of a vast product line to make Elite your convenient solution for residential or commercial projection screens.